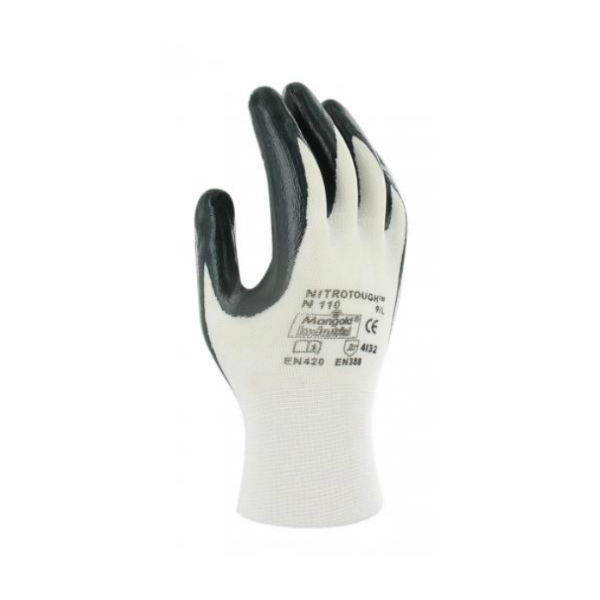 While leather work gloves provide optimal fit and feel, they are made from a natural material that is prone to degradation in tough environments. The Marigold Industrial Nitrotough N110 Palm Coated Work Gloves provide an alternative to light leather work gloves, offering the same great comfort and protection. 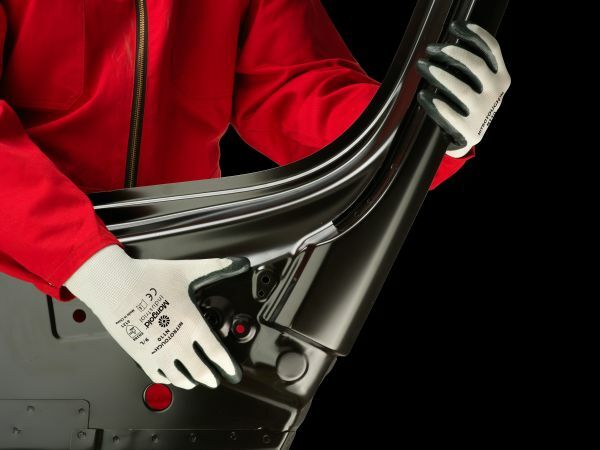 Combining a nylon liner with an oil-repellent, abrasion-resistant nitrile palm coating, they are ideally suited to oily manufacturing and maintenance environments. The Nitrotough N110 are designated Category II gloves, meaning they are suitable for medium-duty applications and intermediate levels of risk. The Nitrotough N110 are supplied in four different sizes. Please measure the circumference of your hand around the knuckles (excluding the thumb) with your hand open and your fingers together, and the length of your hand from the tip of your middle finger to your wrist.